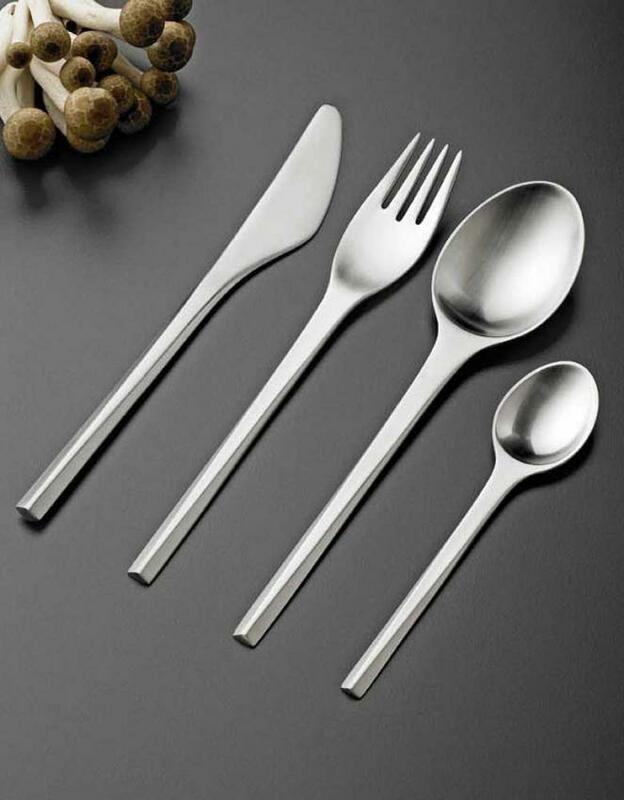 cutlery in a timeless and still modern design - a real classic. Stelton Prisme was designed in 1960 by Silversmith Jørgen Dahlerup and designer Gert Holbek. The cutlery received a prize in a competition held by the Danish Goldsmiths council, being an innovative cutlery; it was immediately put into production.Characteristic for Prisme is the special form language. 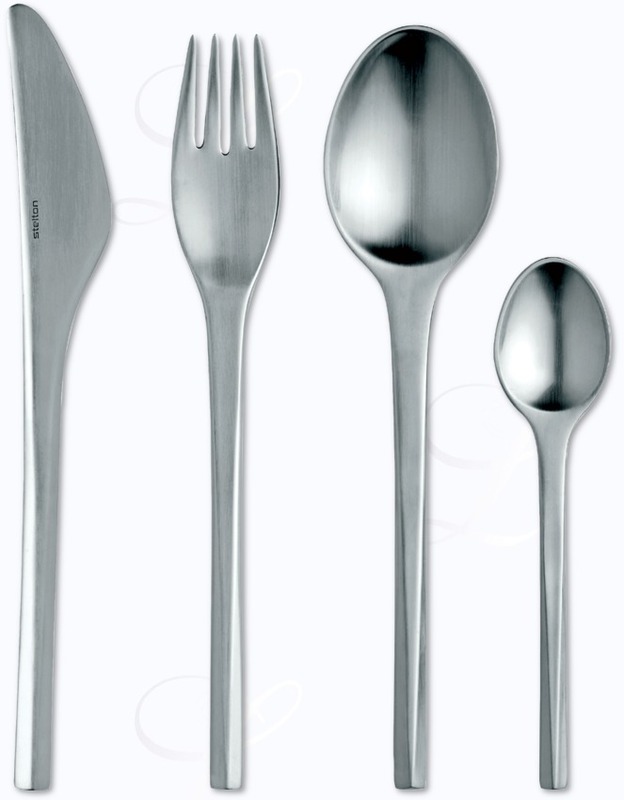 Despite of the success, the company producing the legendary cutlery put it to an end. Now the brand has included Stelton Prisme in Stelton norstaal, a line consisting of 9 different cutlery patterns. a monobloc. Monobloc knives are made out of one piece of chrome steel free of nickel. With these knives no joint is visible between blade and handle. Stelton Prisme in stainless is matte. 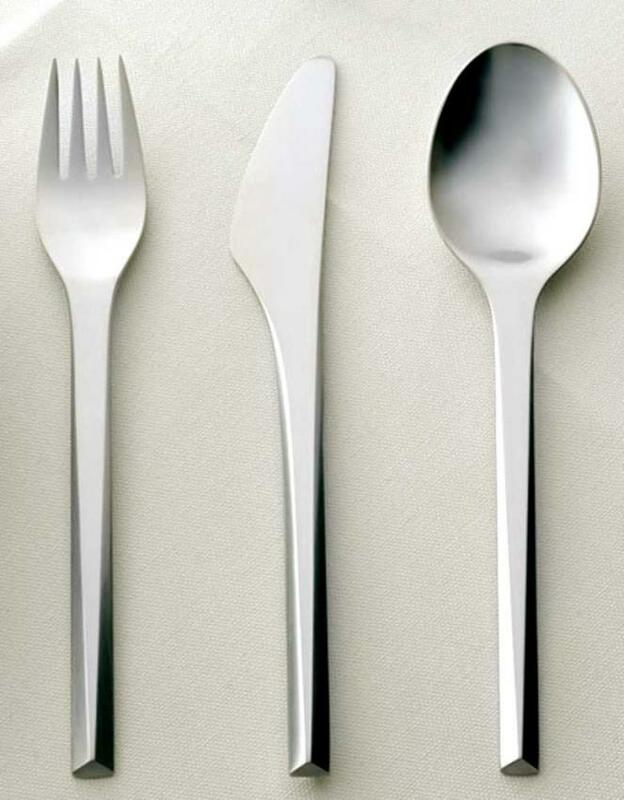 The budget-priced, timeless cutlery has only some additional parts: from table knife monobloc to coffee spoon, from coffee spoon to table spoon .